As virtual desktop, end-user computing (EUC), and cloud infrastructure technologies continue to evolve, so do the skills IT professionals require to successfully deploy and manage virtual desktop infrastructure (VDI) and application delivery projects. In addition, skills that allow managing private, hybrid, and public cloud deployments are getting more relevant to the job market as the public cloud matures and becomes more affordable. 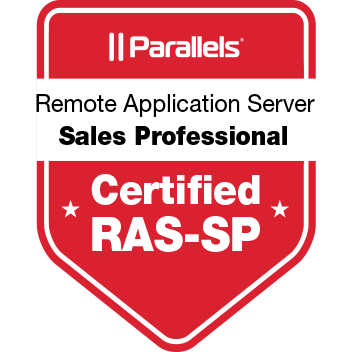 Parallels® Remote Application Server (RAS) exams certify a large set of skills for application, desktop delivery, and VDI, whether deployed on-premise, hybrid, or on the public cloud. Parallels RAS certification helps in matching the standard job description requirements for IT professionals, including IT managers, IT architects, systems engineers, and system administrators. Parallels empowers IT professionals to share digitally verified proof of their skillset as soon as they obtain it, extending their professional portfolio.Parallels RAS digital badges display verified information such as the date of issue, type of training provided, and the skillset gained in succeeding the certification exam. You will receive an email notifying you to claim your badge from our partner Acclaim's website. Sign in or create an Acclaim account. Parallels RAS Technical Professional (RAS-TP) validates the skills and knowledge necessary to implement, deploy, and manage the Parallels RAS application and desktop delivery solution. Candidates demonstrate the ability to implement and configure Parallels RAS core components such as Parallels RAS Console, Secure Client Gateways, Publishing Agent, RD session hosts, and VDI.  Parallels RAS Sales Professional (RAS-SP) validates the skills and methodologies that sales professionals need to identify business opportunities where Parallels RAS fits the organizations' requirements. Candidates demonstrate the ability to provide the right vertical value proposition matching the different industries. In addition, candidates acquired basic knowledge about virtualization, networking, and Windows Server administration. 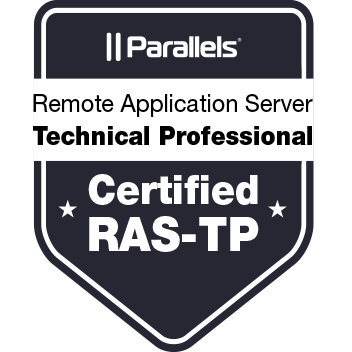 Attend the Parallels RAS Technical Professional training. Pass the required exam on the Parallels Partner Portal. Find out what kind of salary you can expect to earn. Which employers are looking for individuals with your skills. Q. What is a digital badge? A: Digital badges are web-enabled versions of a credential, certification, or learning outcome which can be verified in real time online. Q. Once I've qualified to earn a badge, do I need to request the badge, or will it be automatically sent to me? A: When you have qualified to earn a badge, the accomplishment will be processed and the badge will be automatically sent to you within a few days. Q. What is the process for claiming my Parallels RAS digital badge? A: When you’ve earned a Parallels RAS badge, you will receive an email notification alerting you to claim your badge. You will need to create an account on Acclaim and confirm your email address, then you’ll be able to accept and share your badge. Q. How does my credential get displayed as a digital badge? A: We have partnered with Acclaim, a badging platform backed by Pearson, to translate the learning outcomes you’ve demonstrated into a badge. The technology Acclaim uses is based on the Open Badge Standards defined by Mozilla. This enables you to manage, share, and verify your competencies digitally. Q. What is the relationship between Parallels and Acclaim? A: Parallels has partnered with Acclaim to recognize certifications and other learning opportunities in the form of digital badges. Q. What if I do not want my Parallels RAS digital badge to be public? Q. Is there a cost associated with claiming and displaying my Parallels RAS digital badge? Q. How do I prevent someone from copying and using my Parallels RAS digital badge? A: While badges are simply digital image files, they are uniquely linked to data hosted on the Acclaim platform. This link to verified data makes them more reliable and secure than a paper-based certificate. It also eliminates the possibility of anyone claiming your credential and associated identity. Q. How do I share digital badges on social and professional media? A: It's easy to share your badges on social and professional media through Acclaim. When you accept your badge, you’ll be brought immediately into a sharing workflow that allows you to share to Facebook, Twitter, and LinkedIn, embed in a personal website, or share over email. 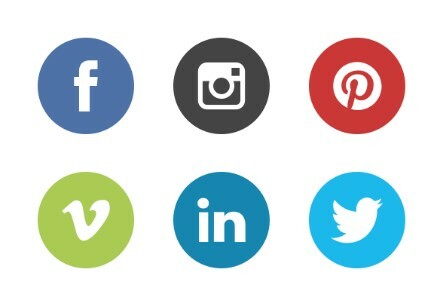 You will need to connect and authorize your social media accounts through Acclaim in order to share to those sites. Q. How do I add a digital badge to my email signature? A: Adding a hyperlinked badge image to your email signature is a great way to make sure your professional network is aware of your certifications, credentials, and other badge-worthy recognition. Email clients handle images within signatures differently. Some, like Outlook, require a resized image and a hyperlink. Others, like Gmail, allow you to copy and paste a badge and hyperlink into your email signature.